A stubborn grip on USB Type A ports and a puzzling attitude toward pricing its various color options mar what is otherwise a solid Windows notebook. Microsoft's Surface Laptop 2 looks virtually unchanged from the first Surface Laptop. Is it worth the upgrade? Should you buy the Surface Laptop 2? Time has caught up to Microsoft’s Surface Laptop 2. We loved it in its first iteration—what Microsoft now calls the Surface Laptop (1st Gen), and the low-cost clamshell remains a superb, optimized laptop for students and workers on the go. But while the Surface Laptop 2 has basically stood still, the competition has chimed in with their own progressive offerings. As our review shows, the 13-inch Surface Laptop 2 is still a solid laptop, but design choices made a year ago look a bit tired now. 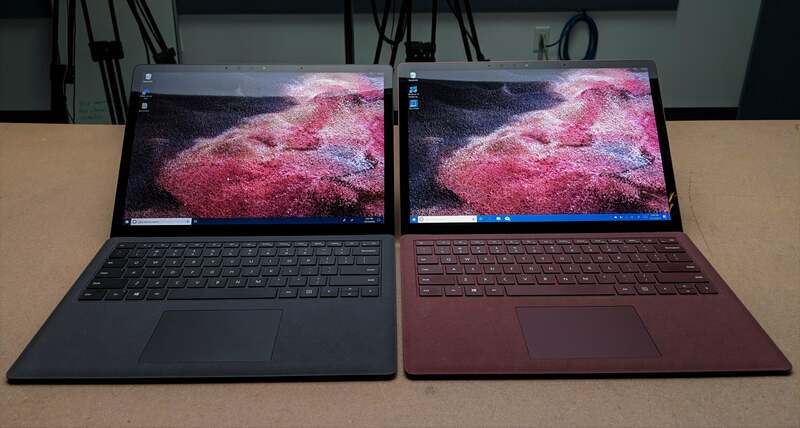 The Microsoft Surface Laptop 2 (left) and the Microsoft Surface Laptop, now referred to as the Surface Laptop (1st Gen). On the outside, they’re functionally identical. Note that Microsoft varies its configurations by color. The cheapest Surface Laptop 2 for consumers is $999 for the platinum color, in a Core i5/8GB RAM/128GB SSD configuration (available at the Microsoft storeRemove non-product link as well as AmazonRemove non-product link). In black, burgundy and cobalt blue, the cheapest option was a Core i5/8GB RAM/256GB configuration, for an MSRP of $1,299. We reviewed the black version. Other, more expensive configurations are also available; we note the ranges below in the basic specifications. 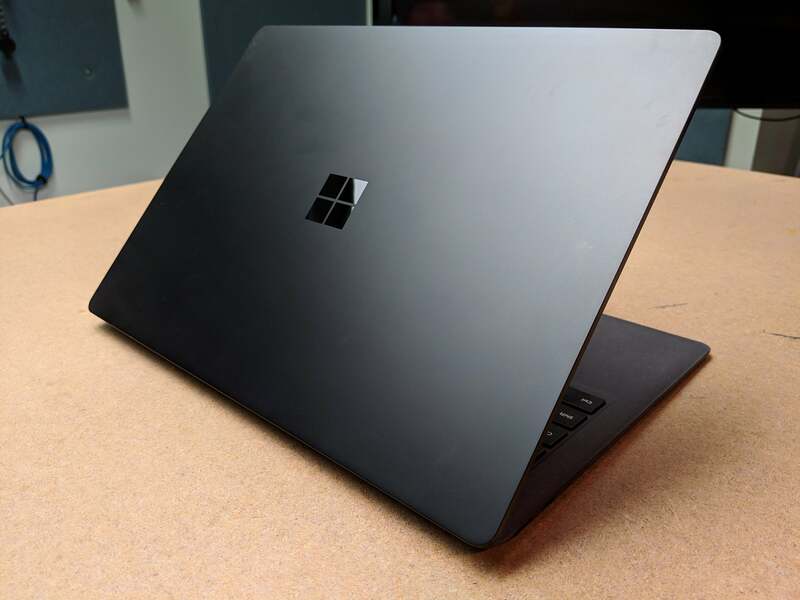 Here’s something to think about, though: At press time, what Microsoft now calls the ”1st Gen” platinum Surface Laptop is selling at a healthy discount for theCore i5/8GB RAM/128GB version, on AmazonRemove non-product link. The platinum Surface Laptop 2 with the same configuration is both more powerful and just $100 or so more. Microsoft’s new black color looks undeniably suave. The Surface Laptop 2 doesn’t appear to be fanless, though it blows heat very quietly out of these downward-facing vents. 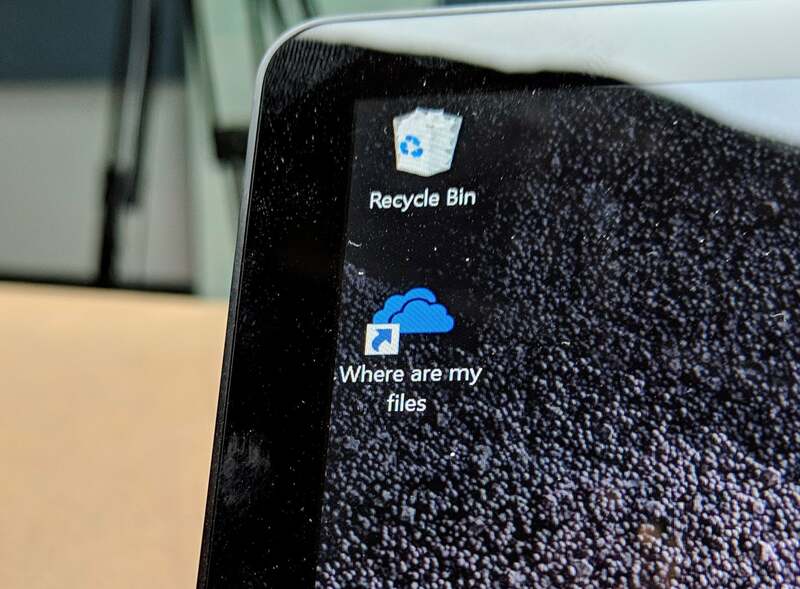 Microsoft leans heavily on its OneDrive cloud storage service, and automatically backs up your Documents, Pictures, and desktop—but there’s no opt-in. If you dump a few gigabytes of benchmarks into a desktop folder, they’ll be automatically (and quietly) uploaded, eating into your data cap. While I really love the simple minimalism of the Surface Laptop 2’s chassis—remember, Microsoft designed it to pry students away from Apple MacBook Airs—there’s no denying that it’s now a bit behind the times. Yes, a laptop is more “lappable” than a tablet like the Surface Pro 6, but the Surface Laptop 2 still lacks the microSD slot of the Surface Pro 6 and the USB-C port of many of its other rivals. There’s no rear-facing camera, either, though that’s more forgivable. Where’s the USB-C port? Still in Microsoft’s labs, apparently. 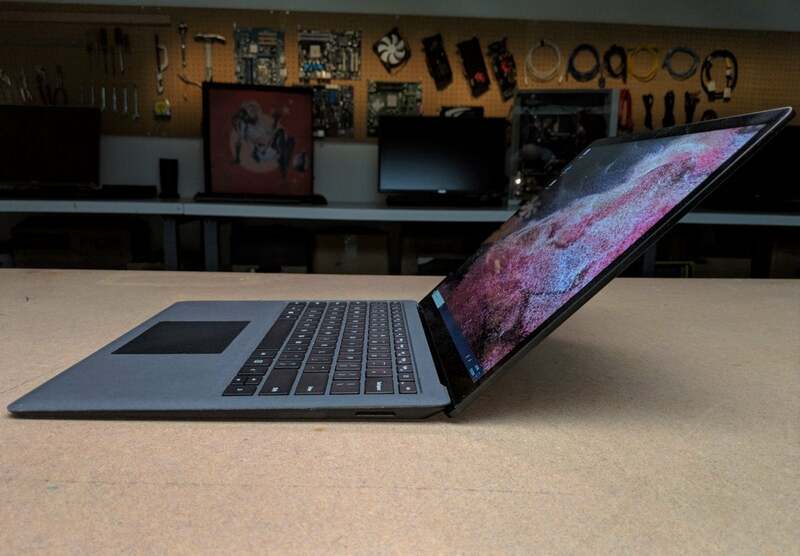 In the year or four that a student should expect to hold onto the Surface Laptop 2, however, USB-C devices will simply become more prevalent. Not only is the $80(!!) Surface to USB-C dongleRemove non-product link overpriced, users have given it poor reviews for charging and functionality. A microSD slot could make the entry-level Platinum version (with just 128GB of storage) much more tolerable. What was once a forgivable oversight is now a blemish. Instead, there’s the usual loadout of Surface ports: USB 3.0 Type A, miniDisplayPort and the mic/headphone jack on the left, and the Surface connector on the right. 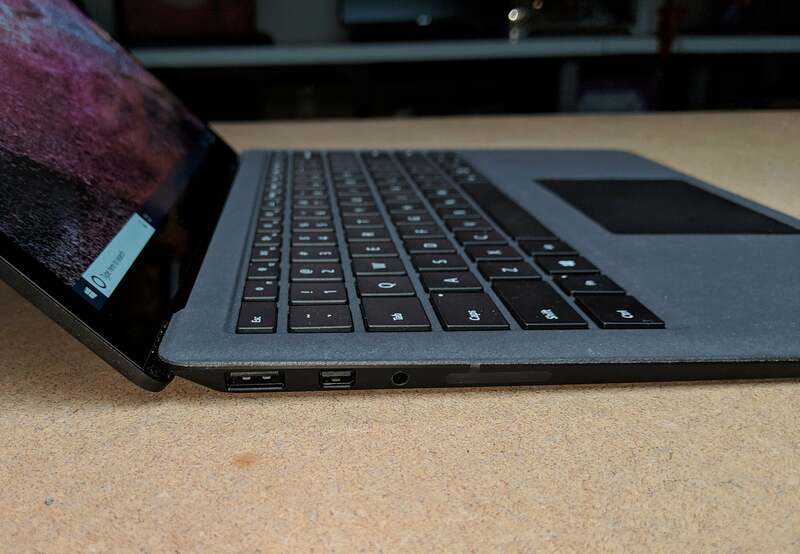 Microsoft’s underutilized Surface connector supplies power to the Surface Laptop 2, shown here at full recline. Microsoft’s Surface devices have traditionally shipped with one of the better keyboards in the industry, and the Surface Laptop 2 continues that tradition. It provides slightly smaller keys than the Surface Book 2, but with adequate landing area and a pleasing springiness that makes them comfortable to type upon for long periods. 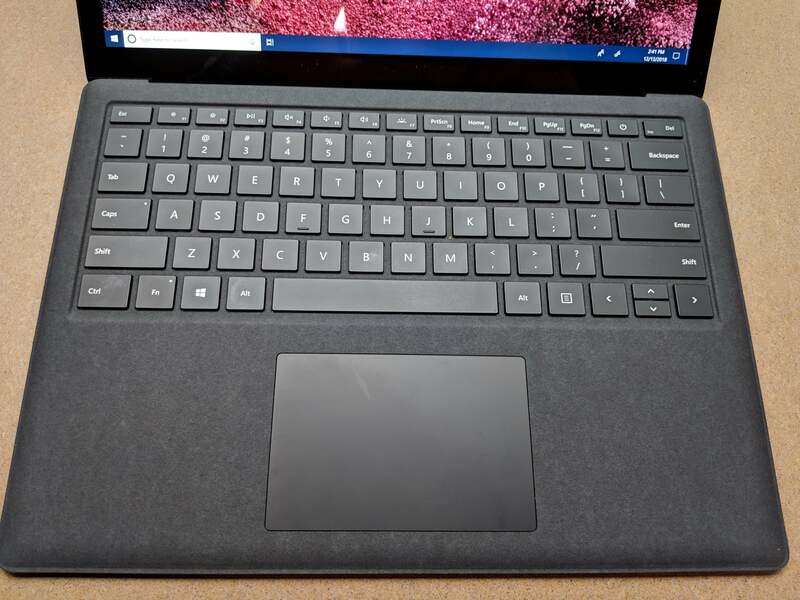 Microsoft’s keyboard remains unchanged from the Surface Laptop (1st Gen) as well as the Surface Pro 6. While Microsoft sheathes only the inside of its Laptops with its Alcantara fabric, the slightly fuzzy cloth provides a hint of give and a bit of warmth to your palms as they rest upon the typing surface. The fabric hasn’t become stained from prolonged contact with my hands or other liquids, either. Microsoft doesn’t seem to have altered its trackpad. It’s still the spacious, smooth surface Microsoft provides for its other Surface devices, excepting the Surface Go. 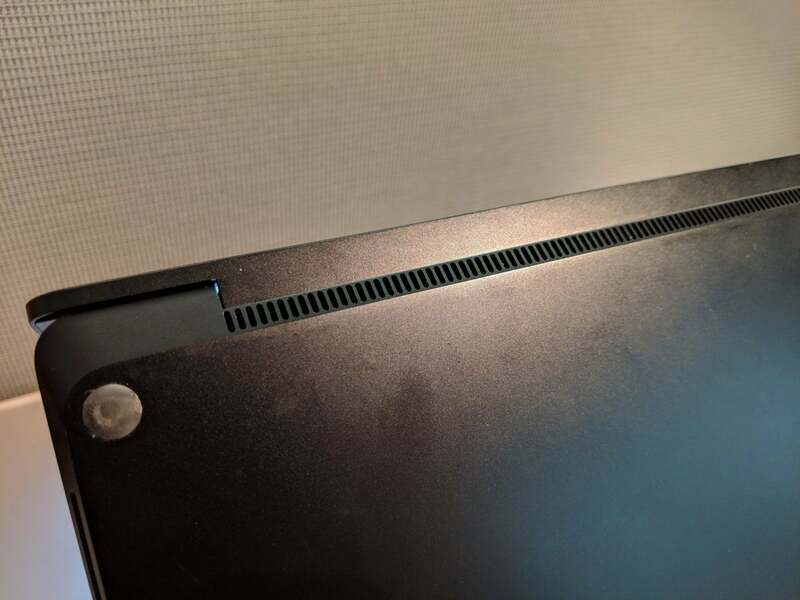 The Surface Laptop’s speakers, embedded underneath the keyboard, deliver a surprising amount of volume. As with other laptops and tablets, however, the sounds those speakers produce is flat, without a great deal of bass or treble. You won’t find many options within the standard volume control panel; instead, Microsoft has migrated the audio controls to the separate Realtek Audio Console, which governs the Realtek audio chip inside. Here you’ll find the ability to toggle the Dolby Audio enhancements off and on, which doesn’t do a great deal for the speakers but adds depth to music played back via the headphones. 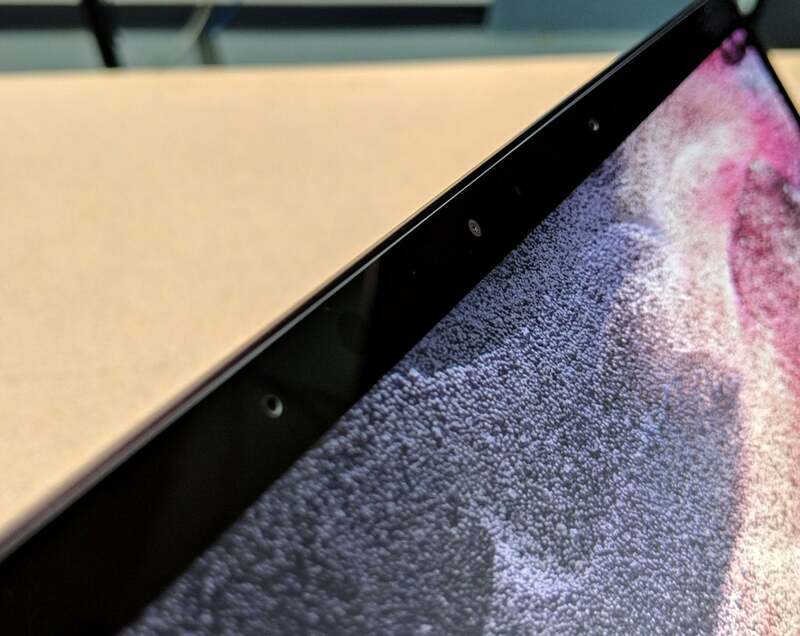 While the Surface Laptop 2 doesn’t house a rear-facing camera, the front-facing depth camera enables Windows Hello facial recognition in a snap. Personally, I’ve used the Surface Laptop as a test machine for Windows 10 Insider builds, banging away on it off and on every week or so, and especially in the month or so before a new feature release. From a longevity and usability standpoint, and speaking specifically about the 1st Gen laptop, the Surface Laptop line comes recommended. Keep reading for performance and battery benchmarks. Microsoft's moderately priced Surface Laptop 2 offers excellent battery life, but moderate performance and outdated I/O may prove a bit limiting over the long haul.